Compost is organic matter that has been decomposed and recycled as a fertilizer and soil additive. 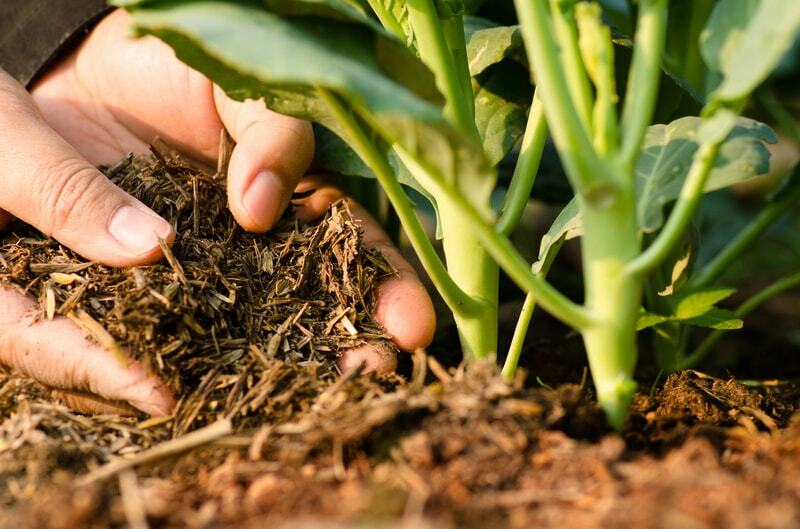 Its rich-in-nutrient feature makes organic compost a fertile additive to lawns, gardens or farmlands, releasing in a slow-release manner rather than the shocking burst of nutrition that chemical fertilizers bring about. The process of making organic compost is quite simple; therefore if you are really interested in making organic compost yourself, you can absolutely master the skill by following a few simple steps. The main ingredients that make up compost are green plant materials, brown plant materials and moisture. Green materials refers to vegetable waste such as peelings, and fruit cores or grass, weeds, leaves, eggshells, and barnyard animals’ waste. These items are very rich in nitrogen. Brown materials refers to high-in-carbon ingredients like straw, used papers, sawdust, and twigs. All those materials are easy to collect from around your home, as they are actually organic wastes from your daily consumption. Once mixed up in the right ratios, they will become valuable organic compost for your lawn or garden. Shredding those materials into smaller pieces speeds up the decomposition. The ideal Carbon:Nitrogen, or C:N, ratio is 30:1. Carbon is dry while nitrogen is moist, so for microorganisms to generate compost, they need a balanced diet of 30 parts of carbon for every 1 part of nitrogen intake. However, this 30:1 ratio refers to the chemical composition of the material rather than to the volume of brown materials being 30 times higher than that of green ones. Actually, you can mix 1 part of brown materials (measured in quantity) with 1 part of green or 2 brown to 1 green. Once you have the right amount of brown and green materials, water them to create a moist environment for decomposing. Too dry environment will make it hard for microorganisms to work, while conditions that are too wet may prevent air circulation and nurture bad bacteria only. To have perfect compost, make sure to keep it damp. If you have a small indoor garden, a bin under the kitchen sink may be adequate for containing your compost materials. In case you want to feed an entire outdoor garden or a lawn with compost, a larger bin will be needed to contain this black gold. An enclosed bin will help to hold in heat which will result in the faster breaking down of materials. There are a variety of compost bins available that from your local garden retailers such as open-top, closed-top or compost tumblers. Each type differs in design and price so first consider your needs and select the right one. If you don’t want to spend money on buying expensive compost bins, you can of course keep your compost contained in a do-it-yourself bin. Containing your compost pile in a wood box, plastic sheeting or a bin made up from shipping pallets is just fine. You can save money on this while still fulfilling the purpose of retaining heat in and keeping rain out. Pile up layers of material in a compost bin, keep it moist, and microorganisms will do the rest by digesting the materials. However, you’ll need to stir the pile once a week, moving the inside to the edges to ensure that every portion of the materials is eaten up by the worms and bacteria. This aerating activity will also help oxygen to circulate well in the pile, which will aid the microorganism’s breaking down process. Moisture is important in this process, so you’ll need to remember to water the pile if the environment is too dry. Cold weather may slow down rotting, so a compost accelerator may assist in speeding it up. You may encounter some common problems with the composting process. First, many people worry about the unwanted odor that decomposing scraps may release. 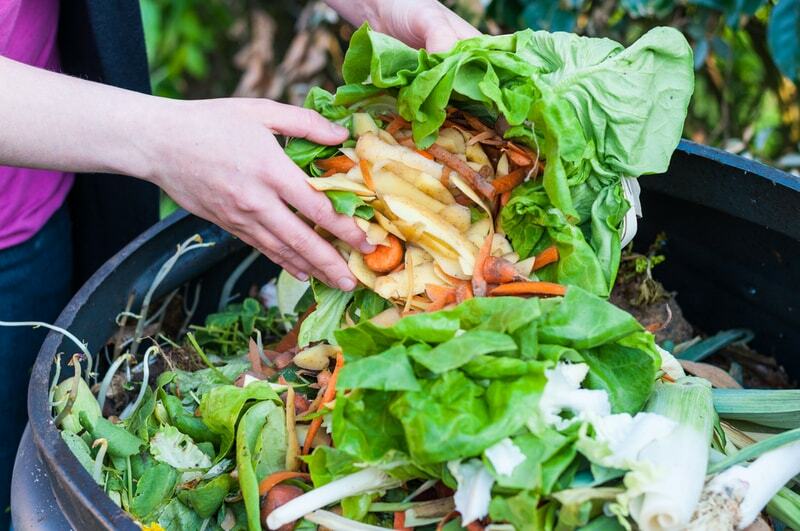 The fact is that if you don’t have any meat or bones in the compost, the rotten vegetables buried down in the pile won’t cause many odor problems. A smell like ammonia may imply that there are more green materials than brown ones, so you’ll need to add more brown. 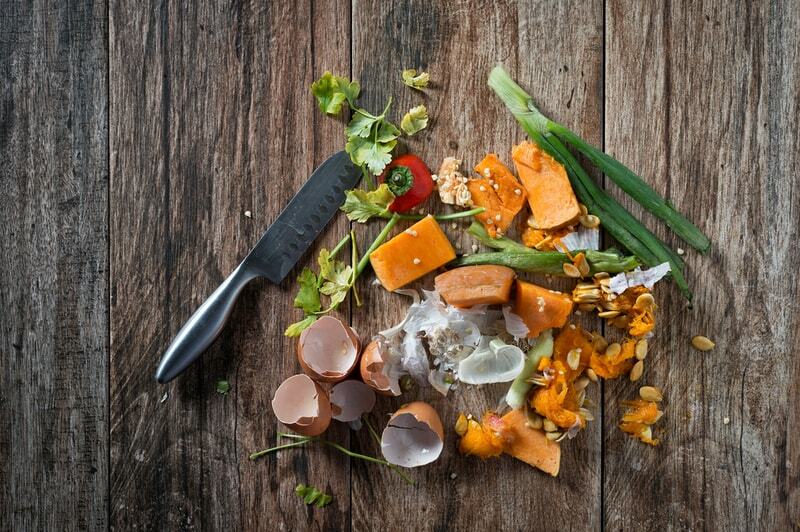 Secondly, pests are easily attracted by food scraps, so it’s best to enclose the materials in a bin. Third, materials like grass or leaves that are too wet may form a sticky layer and cause uneven decomposing. You will need a pitchfork to break up those mats of sticking layers and stir them up well. Any other problems with slow decaying can be solved by checking the moisture, warmth, air ventilation and whether or not you have the right combination of green or brown materials. 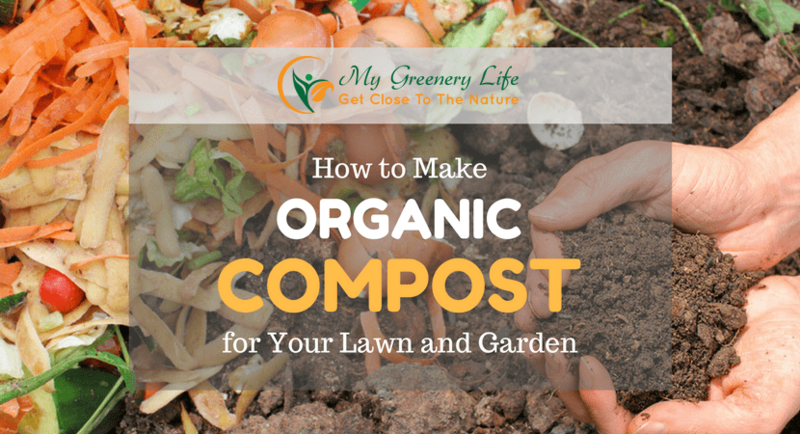 You can see that the process of making your own organic compost is not complicated at all. In short, you need to gather the right materials, pile them up, create the right moisture conditions and wait for the natural cycle to generate the black gold for your lawn or garden. You will know that the compost is ready to use when a damp wood smell is detected and a crumbly dark brown or blackish mixture is created. Start your compost making project today and feed your lawn or garden with genuinely organic fertilizers. ​I Believe Everybody Can Create Their Own Beautiful Garden That They Love. 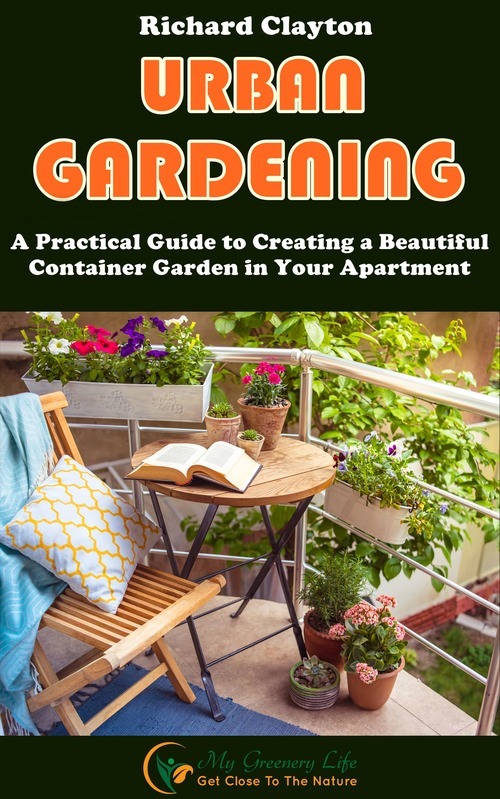 Even if you are living in crowded urban, there will be no problem if you know the proven methods to create an urban garden by yourself.